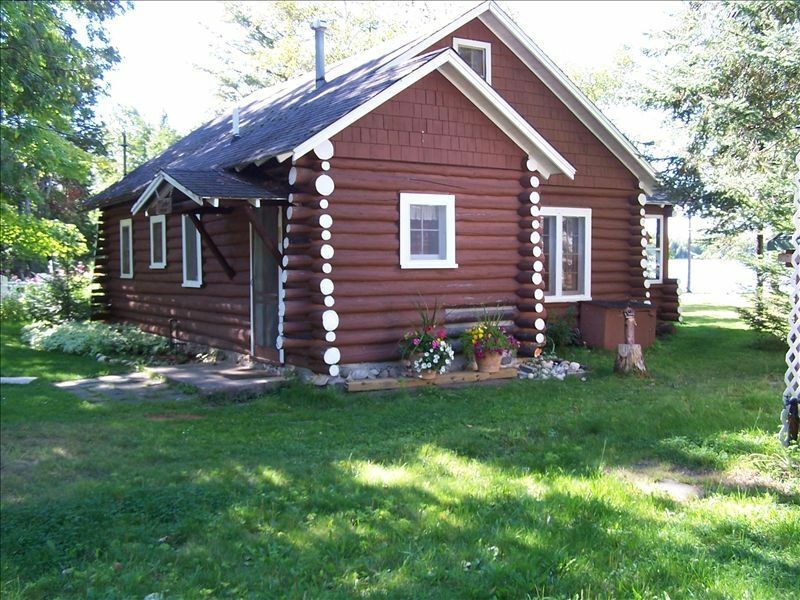 Lakefront Log Cabin located on Pickerel Lake. One bedroom cabin (queen bed) with a sleeping loft upstairs(3 twin beds). Authenic log cabin that has been extensively remodeled and updated. The entire interior is log and knotty pine with beautiful fieldstone fireplace. Fully equipped kitchen and bathroom have recently been updated. The crystal clear lake water with sandy bottom in front of our cabin is shallow, with hard packed sand bottom with a gentle slope(no-drop off). Perfect for swimming and wading. Beach, picnic table, campfire pit, and eighty foot dock included. Boat rentals available from local marinas, on the waterway, or bring your own boat and launch from the near by public launch. Excellent swimming, fishing(bass, walleye, pike), and boating on 1100 acre Pickerel Lake. Part of the famous inland waterway which connects to Crooked Lake, Burt Lake and Mullet Lake. Located just a few miles east of downtown Petoskey and only minutes away from all the other varied attractions in this beautiful area of northwest Michigan. The Petoskey/Harbor Springs area includes miles of bike and rollerblade trails, exceptional golf, and several of the States most beautiful beaches. Sandy bottom lakefront, with no rocks or weeds. A very gentle slope (no drop off) perfect for wading and swimming. Lot is grass to the waters edge.